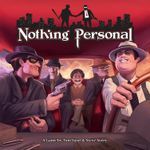 75 gamers got together in Palmerston North on September 7-8, and even though I was technically supposed to be working at the event, I did get some plays under my belt. 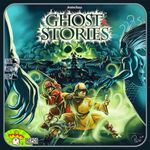 Which games did you play at Board Games By The Bay Palmerston North? After driving down to Palmy on the Friday, we settled into our new place, and my first gaming experience in the student city was two plays of Battle Line. We only realised partway through the first game that I was playing too many tactic cards, so it was only fair that I lost. The second battle was much closer. It started off terribly for me, and I was quickly down 4-0. But after rallying the troops, I pulled it back to 4-4. However, my opponent made a break down a flank, and my last ditch effort to throw Alexander into the fray came to no avail, and I lost 5-4. Battle Line is a great game for 2 players. Yes, the theme is pretty loose but that’s the very thing that appeals to me about the game. Quick, simple, and fun. The other game we played Friday night was a 3 player intro to Mage Knight. I hadn’t played before so had a fair bit to learn. We only got about halfway through the blitz game before we realised it was 1am and we were to be at the venue at 7am, so we called it then and there. I really, really enjoyed it, though, and found myself craving a rematch the following day. 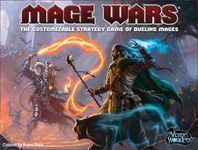 There are a lot of little mechanics to figure out when picking up the game, but they work well together and I have no doubt that my next game of Mage Knight will be much faster and much less confusing! Saturday morning, and after a short sleep and setting up the venue we were ready to go. My chronology of the day is pretty mixed up, but I think the first game we played was 7 Wonders. A couple of players knew the game, while others were brand new to it, so it was a good mixture of players. I can’t remember much – only that my tactic of using a trio of leaders with bonuses for military prowess was scuppered by me failing to win a single battle all game! 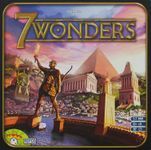 We played with 2 of the wonders from the recently released 7 Wonders Pack and they added plenty of variety and will be getting this great game back to the table after a recent hiatus. 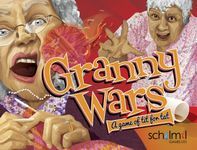 Next, I taught a game of Granny Wars. I had only played it once, (and I had played the core mechanic several times many moons ago), but it’s so quick to learn that within a minute we were playing. Keeping the identity of Granny is always tricky, but the dummy player became obvious: one granny was getting a heap of negatives and nobody was coming to her rescue! 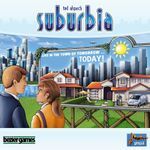 This game was taught several times over the weekend, and I got the impression that a few pledges for the title to be published may have come from it, but I obviously can’t confirm that. During a break between shifts, we sat down for a 3 player game of Love Letter. I never get sick of this game, even though I got hosed. It’s so quick, so affordable, and so incredibly simple. I still look at it and think “you created a game with just 16 cards? !” but it never feels like the balance is wrong – great game! Even better, I didn’t get punished by that accursed monkey! We received feedback from the Hamilton event that people were keen for a mega game of some sort – something that would suit a big group. So we arranged two games of Two Rooms And A Boom and – from what we could tell – it went down famously. We had 28 gamers try out the basic version, and 22 stuck around for the longer version. I only played in the second game, but I had a ball. And the President was saved from being blown up, which was good news for those of us on the blue team! Stone Age was another teaching game. It dragged on a bit – I think we were having too much fun with banter to game at an optimal speed – but everyone seemed to enjoy themselves. (Maybe that was the banter?) I went with a strategy based around growing crops and getting cards that would reward me for that and for my maxed out population, with a small amount of hut building. Another player maxed out the tools and got plenty of points from that. All in all, another fun game that is so dice heavy that the odds tend to balance themselves out over time. This was my second win of the weekend. Sunday morning made for a quick cleanup, and then I was playing one of Martin Wallace’s WIPs, Runestones. I’d actually played it once before but didn’t recognise it until the board arrived. I also tried a unique military strategy which I shall henceforth name “spreading-my-defensive-lines-too-thin-and-allowing-opponents-to-surround-my-troops-and-eliminate-them”. I don’t think this is a strategy for everyone! However, I rallied from distant last at the first scoring phase to outright second at the end. 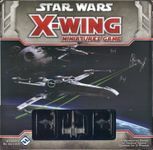 I really enjoyed this game – there are tiles played which represent units, but those tiles can also be spent as currency to deploy other units or to lend their strength in battle. Good times…even if we made it drag out much longer than usual! The next time I played a game that wasn't a repeat of one of the above, it was after we'd cleaned up and closed for the night. 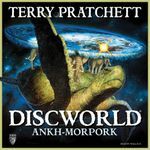 we went back to the flat and played Discworld: Ankh-Morpork, one of my favourite Wallace titles. It was a great way to introduce it to the owner who had just bought it at the event. 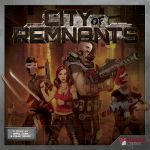 Later Sunday night, we decided to crack open City Of Remnants. It took a bit of figuring out, but it presented a really interesting blend of deck building, worker placement, and area control. Very, very cool. Then we looked at the clock and it was just before 3am...so we called it a night and a weekend! At long last got to give this one a go. Between four of us we had one games worth of experience. But three or four rounds in most players had a grasp of what was going on and had formulated a plan. I wasn't one of those players and, basically, I choose cards I that looked fun. A few turns later I realised the others had a method to their play so I promptly copied one of them and away I went. This is a game with a lot to keep track of and manipulate and I constantly had a feeling I was playing things wrong (forgetting to activate an ability or activating the wrong one) Still, it was fun and interest and the wealth of possibilities was an inviting ocean. I managed to win, by luck more than design, but that nagging feeling that I'd given myself an unfair advantage by playing something wrong just won't go away. Not as keen to have my own copy as I was before, but if someone in our group doesn't get it, I'd be happy to take one for the team. The game that nobody wants to admit being interested in. Well, my verdict after one play is components alone do not make the game. Somewhere beneath the bling maybe a good game. With the right people with the right had draws with everything just so I think a good game could be had by all. In the game I played I got out to a ridiculous early lead so therefore three other players contrived to strangle me for the next three quarters of the game. Possibly why I'm left a little cold. Somewhere in this game there must be paths to victory, but they were not clear to me. I may have stumbled upon one or two and not realised, but for me luck, circumstance and a case of making sure 'x' didn't win prevailed. The mechanics and options were all sound but it may take a few goes to gain any control over this machine. I bought this mainly for the novelty of a game inside a stuffed toy. I did manage to get it to the table and was soundly beaten by an eight year old board game savant. The nice push your luck mechanism was not ruined by the kid running around the table with the monkey attached to his face like a creature from an Aliens movie. Not much to say about this. I played Imperial, my 8 year son played Rebel and we all know how it ended. I'll leave you all to it then shall I? This was a teaching game that became more than a teaching game. We went through some highs and lows before Wu Feng came out and stole all our powers. We came so very close to winning but one after another the Taoists fell. Great fun. Must play this more! I saw this getting played a lot. People were keen on it and we sold quite a few as a result. I must have seen at least 3 or 4 games of Drum Roll during my cursory glances around the room. 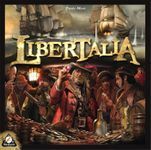 This a well made, tight, light euro that bridges the gap between Dominion, Settlers, Ticket to Ride and Puerto Rico. Your doing yourself a disservice if you've not tried it. Hilarious to watch. Oh the anguish. I wished I could have stayed to see the whole hand played out. This game is a real treasure. This was the pimped out version of Munchkin with a board and minis. So much fun, so much back stabbing! 3872 Orcs! Or thereabouts. Went down well enough that the group playing it played it twice. It was funny to hear comments from others that the artwork was 'okay' and the theme didn't really come through well.